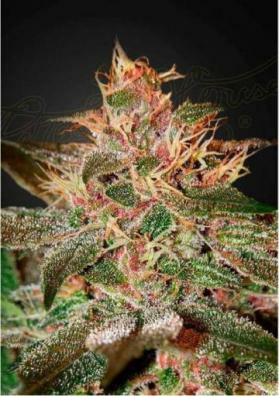 Himalaya Gold is a feminized Indica strain created by crossing Nepali and North Indian. It gives an effect that starts smoothly and raises stimulating the creativity. Himalaya Gold is one of the best plants for growing outdoors. 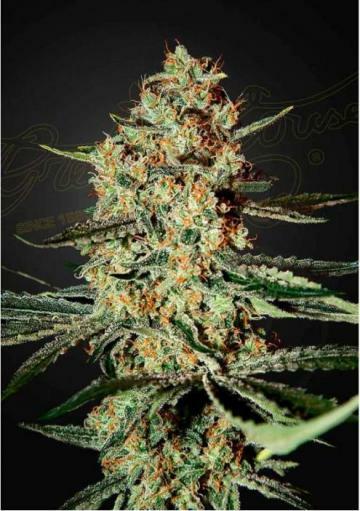 Himalaya Gold is a feminized Indica strain created by crossing Nepali and North Indian. The effect begins smoothly but after some time it gives a very creative and very corporal high. Its taste is complex and combines traces of sweet chocolate with a hint of pepper. It is also used medicinally for stress and to stimulate the appetite. Himalaya Gold is one of the best plants for growing outdoors, being especially suitable for mountainous and low temperature zones. The plant is dense, with outstanding resinous buds being able to reach heights of 1.5 meters indoors and 2.4 meters outdoors. 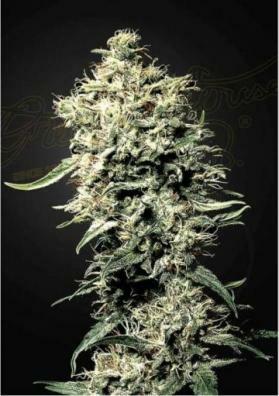 Its has a short flowering period being ready to harvest in 8 weeks and able to offer you great productions of to 800 grams per square meter. Note that in a growing room it works best if fully developed. In the outside, the plant is very high and robust needing some kind of support due the weight of its buds. You will have it ready to harvest in late September (northern hemisphere), with super abundant yields of up to 1350 grams per plant. 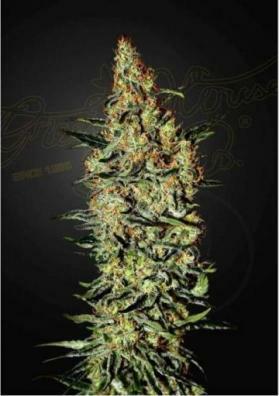 The best of Himalayas in a weed worth its weight in gold.